The last FOIA request that was submitted by Sid Krimsky contradicted the FAA on actually listening to the complaints that come through the PANYNJ. Mr. Krimsky wrote the following letter to Carmine Gallo, FAA Regional Administrator – Eastern Region, a follow-up to the FOIA request. The people want answers. The deck can be viewed here. Tired of hearing and seeing 22L arrivals over your ONCE quiet neighborhood? Areas that never had air traffic over them, and areas that are nowhere near JFK now look and sound like they are in a backyard to the Airport. It’s time to submit complaints, NOW! The PA are the owners and operators of the Airports, and they should be working together closely with the FAA on their operations. Our areas will only get worse with pollution and property values will drop lower than what they already are if we don’t act. 1-800-225-1071 option 1 for JFK and mention 22L arrivals. The 4s and 22s are the same just bi-directional and the same goes for the 13s/31s. The 13s and 31s are JFK’s most longest, widest and state of the art Runways and have always been the primary arrival Runways. 4s are to be used when winds prevail N/NE/ENE/NNW/NW and also used in storms with low cloud cover. These Runways puts arriving planes 98% over the ocean over minimal residential areas, the departures effect more residential areas as they fly north of the airport. 22s are to be used when winds prevail S/SW/SSW. These are JFK’s shortest and narrowest. The arrivals are flying at dangerously low altitudes over areas no where near JFK in violation of mandated flight standards. The departures effect Arverne and the Rockaways. These are the abused Runways used with all winds and speeds as you heard the pilot questioning why these Runways were in usage. They cant accommodate the larger aircraft as the other sets of Runways can due to their short size. These are JFK’s “last choice resort” Runway selections because of their large residential flight paths all over Nassau and into mid-Suffolk, and also because of their size. As you can see the FAA is ignoring protocols and putting these small Runways as the primary landing/departing configurations against safety and operating procedures. These Runways also historically have the most air crashes at JFK (ex. Eastern Airlines Flight 66). The TRACON tower agreement also states that the 22s are NOT to be in usage from 11PM to 7AM for obvious reasons – this is violated almost on a nightly basis. 13s are to be used when winds prevail E/ESE/SE/SSE. These Runways put arrivals over the belt parkway via the “Canarsie Parkway” landing and just over Howard Beach on final. The departures effect the Rockaways, Atlantic Beach, Inwood, 5 towns, and Lawrence/Cedarhurst. The noise area is limited on how the pilots “bank” off of 13R. 31s are to be used when winds prevail W/NW/WNW/NNW/WSW. The arrivals are mostly over the Long Beach, and 5 towns areas. The departures hug the belt parkway via the “Canarsie Climb” and are 97% over water. These are JFK’s main arrival and departure Runways along with the 13s. We have seen severe decline in arrival paths for the 13s, 31s and 4s while shifting all arrivals to the 22s when prevailing winds are favoring the other runways to be in usage. This certainly is putting arrival/departure volume/efficiency first and safety last. JFK and the FAA are following schedules, not protocols….. CERTAINLY not after you hear this as JFK and their FAA ATC’s are deliberately routing planes into Runway 22L against all Standard Operating Procedures and Safety Protocols, all to have departures take off the quickest while the arrivals pay the price of landing into gale force crosswinds on Runway 22L. The people in the air on these planes, and the residents on the ground better wake up and realize what is going on behind the scenes in that control tower. This is dangerous, deliberate, and out of control. These guys deserve to lose their jobs for what they are allowing. Is PANYNJ getting our point across? The Port Authority of New York & New Jersey claim to work closely with the FAA and forwards our complaints when calling the noise complaint hotline. This FOIA response claims otherwise. Still, do not let up on the complains as PANYNJ still log on their end. Someone will be held accountable. Author planesense_kPosted on November 16, 2014 September 5, 2018 Categories Long IslandLeave a comment on Is PANYNJ getting our point across? Runways 22 L/R have no air monitoring systems in place at all to monitor air pollution levels for Nassau County residents. This means, the FAA can use and abuse Runways 22 L/R for as long as they want without any data on pollution, and that’s exactly what’s being done. The main runways at JFK have air monitoring systems in place, which is why we don’t see those runways in frequent usage since pollution levels would be through the roof with data. The usages the 22s are receiving is dangerous to the health of Nassau. 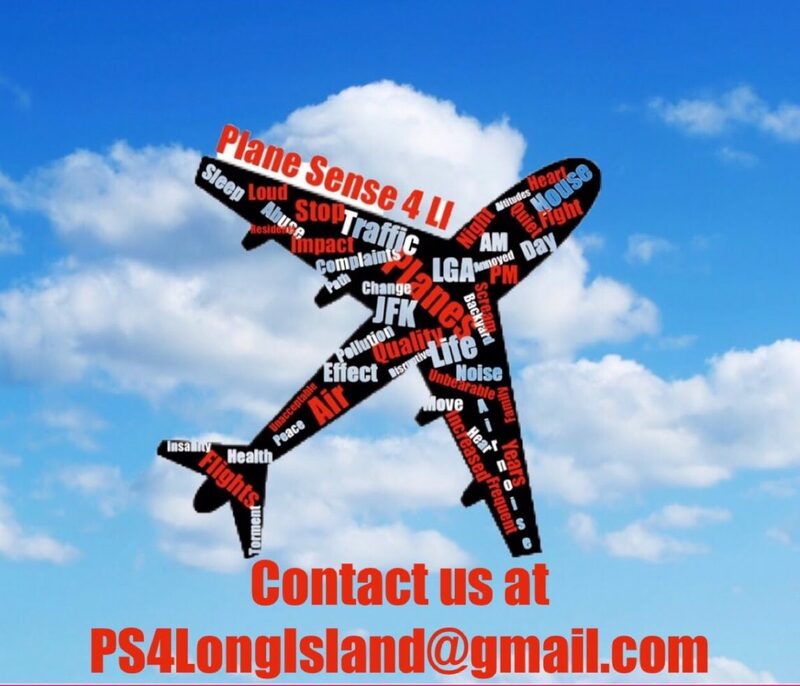 We encourage you to write to your assemblyman/woman and request them to contact the EPA for air monitors in place under these severely abused approaches at JFK. With 500 plus planes a day landing into these runways all over residential areas, we can assure you that the air you are breathing in is below acceptable levels. Runways 22L and 22R at JFK are the shortest and narrowest at the airport. They are ONLY to be used as a “spillover/overflow” runway when JFK would land 13 L/R which were the historical flight paths into the airport. 22L was never built to be used as a primary arrival runway due to its short size and large residential flight path. BUT the FAA has increased these little runways to appease the airlines and get departures out as fast as they can with a 3-runway-configuration and to have no delays – they call it “departure demand” – clearly it means get as many out and as many in as they can for profit and efficiency at the expense of safety and residential noise/pollution impact. Senator Avella aired a story on this issue on CBS 2NY back in March 2014. Typically the 22s were used historically in the summer months at JFK when winds prevailed S/SW/SSW. It was used in conjunction with the 13s as the overflow runway as mentioned. Residents would have an occasional plane pass overhead, certainly not now with what the FAA has done to Nassau. The usage would typically be in the afternoon hours when overseas flights were arriving from the East. A 1PM to 5PM usage was the norm. It would cease at 5PM until the following day even when the winds were strong and out of the S/SW/SSW, JFK would still use the primary arrivals runways of 13 L/R since they are the longest and most state of the art. The Bay Runway was completely rehabilitated on 2010 (Runway 13R/ 31L ) The FAA has now shifted all arriving flights into the 22s and making it the runway of choice for both day and night traffic. During the past seven years, the FAA increased the usage of the 22s each year. Using it against safety standards at peak arrival times when severe crosswind and tailwinds were present in violation of their own standard operating procedures and protocols. This has resulted in putting capacity/efficiency/volume first over safety. This has led into pilots demanding to land onto a different runway other than 22L as they know safety is a breach and the landing is too dangerous for their plane. ATC’s are routinely using runway 22L with Wind-Shear present. Wind Shear is the number one cause of crashes on final approaches as it dramatically takes full control of the airplane upon a landing attempt. This occurs almost on a daily basis when the 22s are in usage. A commercial pilot should never have to request landing into the winds at a commercial major airport with 8 available runways – all which face the prevailing wind directions. Currently JFK follows a schedule than current winds and weather. Residents living in Nassau under the 22s typically now see usage always starting the AM hours at 730/745AM until roughly 10/1030AM – and then at 4/430PM onward into the overnight – and having this process be repeated daily and nightly in violation of protocols and the TRACON Tower agreement. The TRACON agreement states that the FAA will not route arriving traffic into the 22s from 11PM to 7AM due to it being the largest residential flight path into JFK. This is routinely ignored and violated with proven data and resident’s reports. The 22s currently are averaging 16-24 hours a day even when winds are favoring the other runways to be in usage. Everyday at 4PM , winds aren’t mandating the 22s to be in usage. The 22s are documented as a “last choice resort” for usage due to their size and large residential flight path. Many arriving jumbo’s cant land on 22L because its too short and therefore gives the plane a better risk for over-run. There have been numerous accidents/crashes on approach to this runway ( Avianca 52, Eastern 66 being major crashes ) Many arriving planes that land 22L clip the wings of other planes taxing due to the narrow size and tight taxi ways for the 22s. For those that watch these media/news clips on the news and think this is just a “noise issue” think again – because this is what is happening behind the scenes in relation to the usage of Runway 22L at JFK. We are informing you that safety is a risk when using this runway and that is what is being kept from the residents. The 22L arrivals were always over Nassau, you just never noticed it. We pay the highest taxes in the country to live in Nassau County. These are excuses and not answers. They are telling the residents anything just to use Runway 22L day and night. But we are onto it now……..
With aircraft noise on the rise in Nassau and Queens, the PA has established a way for residents to call in and log complaints directly related to the airport that their noise is being generated from. The problem with this is the lack of communication and addressing OF THE RESIDENTS complaints. Resident’s calls are being unanswered, frustration is growing into the lack of being ignored on this serious issue. One thing residents have noticed is “extra noise” over their areas when they call and complain – therefore retaliatory. Emailing the PA and the FAA directly isn’t any better. The 9-AEA-NOISE email address to the FAA is useless. When residents complain to this email address, the complaints get sent to JFK’s “noise officer” only for him to pass the complaints onto the regional managers. The regional managers will mail you a response in the mail with a standard excuse of “nothing is wrong” and everything is fine over your area. No matter how serious your noise or pollution is over your home, you will get the same response mailed to your house. This is absolutely unacceptable considering neighborhoods are being tortured incessantly from both of these organizations. What we want – is better communication and addressing of our complaints. It is the residents/taxpayers that pay the FAA and the PA’s salaries. We don’t want appeasement, we want our complaints handled and not ignored. We want equitable traffic distribution over our areas – the excuses have finally come to a head.